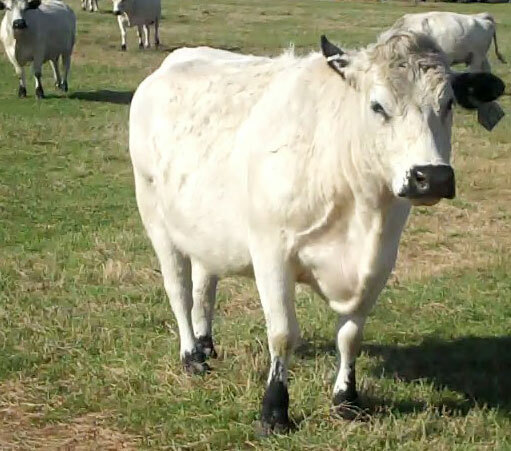 Jimmie's Blog - British White Cattle & More: Should we be Worrying about a Carbon Tax Assessment on our Cows? Should we be Worrying about a Carbon Tax Assessment on our Cows? 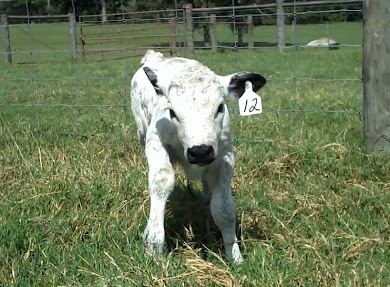 Raising cattle has lots of costs, both monetary and in terms of your time; but it also has lots of rewards that are perhaps hard to convey to someone who hasn't experienced the sort of peacefulness and rightness that comes from having cattle grazing pastures around your home. 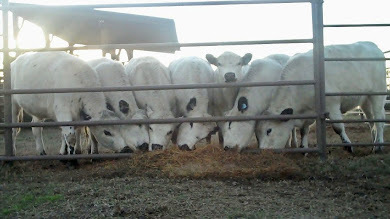 I have largely tended to scoff and ignore reports that cattle are primary contributors to Global Warming. 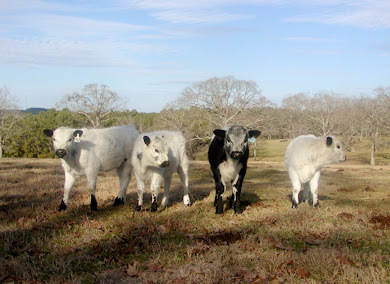 I felt comfortable with my grassfed approach to raising my entire herd, mama cows and all. How could that be a bad thing? Suddenly, there has been a lot of finger pointing at grassfed beef as an even worse culprit to the earth than a stalled and grainfed steer. So I felt like I could not ignore this, laugh at this, anymore. 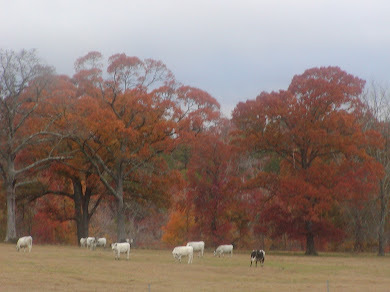 I found the FAO's 2006 report that damned my gentle grassfed cows, and I read it with great interest, and I recommend everyone to read this report. 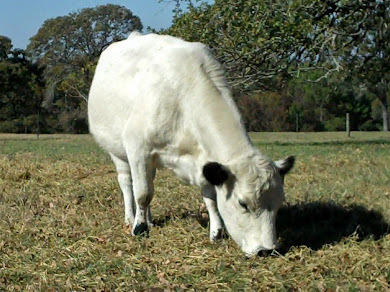 While a grassfed animal does produce more methane via their belching, the grain fed animal produces manure that contains more Nitrous Oxide, almost 300 times, or ~93%, more toxic to the ozone than methane. Not to mention the Carbon Dioxide emissions that result from the cropping of the feed grains, and the nitrous oxide from the fertilizers used to crop the grain. The FAO's 2006 report that damned the livestock industry actually provides NO estimation of the net carbon effect of converting to an all grain livestock industry. NONE. And certainly no estimation of the impact on water supplies from cropland fertilizer runoff. And in regard to grass fed cattle operations, the FAO references the 2002 work of Vaclav Smil who says ". 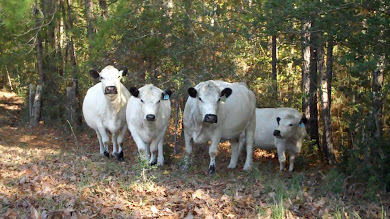 . . Nitrogen loss not being a factor in the production of “totally grass-fed” bovines or bovines raised on “crop and food processing residues that are unpalatable to non-ruminants – such as humans"; and Smil goes on to say that grass fed production of livestock would be environmentally preferable in societies that could manage to implement it. Apparently the FAO would rather spend their time coming up with some vaccine, or chemical additive for the cow to eat, to reduce their belches. 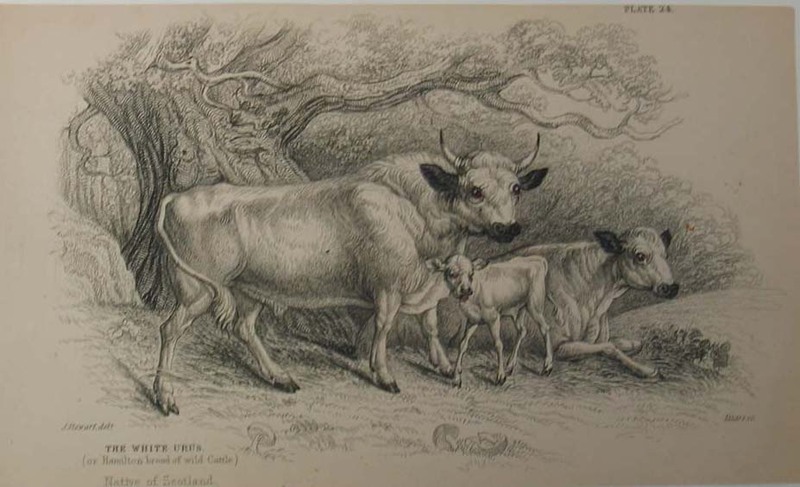 Follow the blog title link, or click here, for my articles on the findings presented in the FAO report, Livestock's Long Shadow.